Singer, vocal coach and choral technician, Edward Rouse has been working in the Conejo Valley helping young people find their voice for over 10 years. 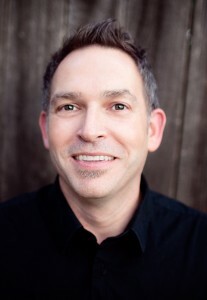 Ed Rouse, a native of California, studied choral conducting at Biola University, where he received his Bachelor of Music Degree in Music Education. He then studied at the Eastman School of Music, gaining his Master’s Degree in Choral Conducting. Ed is active professionally as a chorister and soloist and has sung in different ensembles around the country. He is working as an adjudicator and choral technician in the Southern California area. Ed has served as the director of choral music at Oaks Christian School since 2008 where he now teaches middle school and high school choir and piano. Since 2012, Ed has been the Artistic Director of Los Robles Children’s Choir where he directs two choirs with students from over 30 different area schools. Ed continues to work to positively prepare students for auditions and shows and works with students both at Oaks Christian School and in the community training up the next generation of musicians for success in both the classical and contemporary music world.